We are half way through the Fall Semester of Academic Year 2017-2018. Campus life is full of energy and excitement. Our freshmen are full of wonder and our seniors are counting the days to their Commencement in May. We join you in cheering them on to success however they define it. Between the late-night midterm study sessions supported by our Center of Academic Excellence (CAE), there are several support systems available to students. Please encourage your Ram to visit CAE’s Writers’ Studio and Math Lab, the library, and to get to know their faculty, advisors, and student peers. Everything students need to be successful is readily available on campus. In addition to their academic experiences in the classroom students have volunteered for Hurricane Harvey relief efforts in Houston, conducted drives in support of other communities devastated by the weather, participated in voter registration drives, attended several forums on various current topics, extracted DNA from a strawberry during our STEM Week celebration, and attended a week-long series of events on domestic violence awareness. As your Ram navigates their way in college, I want to accentuate how important it is that they have your continued support and encouragement. Contained in this newsletter are more tips and references focused on how you may help your student navigate this part of their life’s journey. We emphasize that they must be prepared for class, put academics first, and be opened to growing by learning in and outside of the classroom. Our tag lines are #weareideal #smartisthenewcool #iamthepipeline. Please enjoy this fall season while joining us in supporting the success of our students. I look forward to seeing you on campus in the coming weeks and months. Check out our Parent Resource Guide for more information. I am Taleah Moore, a graduating senior, business administration major with a concentration in marketing. I have the pleasure of serving as the 2017-2018 Student Government Association President. I am overjoyed with all the energy that your children and my students have. The class of 2021 has a special place in my heart as they do yours. First, thank you for entrusting Huston-Tillotson University to watch over and nurture your children for the next 4 years. We promise to challenge them in and out of the classroom on a daily basis. Secondly, we encourage you to keep up with what’s happening on campus throughout their freshman year, as well as their sophomore, junior and senior. Challenge them to embrace the culture of our illustrious university and all that we have to offer. Lastly, I challenge each of you to come and visit our campus. For those of you that dropped your students off for freshman move in, don’t let that be the last time. We want to see you again! · Be an active listener. Lend an open ear when you child is feeling stressed or overwhelmed. Listen to what he or she says, as well as to what isn’t said. (Is there any mention of friends or social activities?). Respect his or her feelings even if you don't understand exactly them. This will encourage your child to start talking, which can serve as a source of comfort when feeling overwhelmed. · Educate yourself. Knowing the difference between everyday stress and anxiety disorder can help you learn what to listen and look for. · Encourage participation in extracurricular activities. These can help to relieve stress, help your child make new friends, and build self-esteem. · Explore opportunities for seeking help. Investigate mental health and other treatment options available on campus and in the local community. 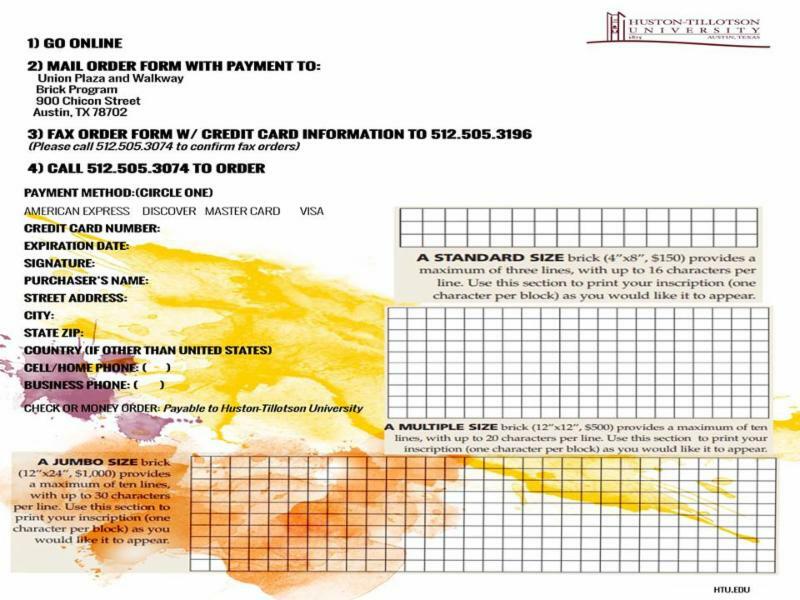 Call the counseling center to inquire about individual or group counseling sessions, support groups, referrals to off-campus centers, and payment issues for the use of these resources. (Many schools offer them free or at a reduced cost). 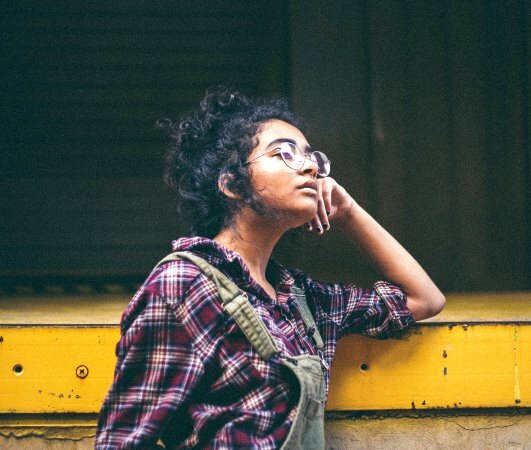 If your child is still on your health insurance, find out if mental health care is covered. · Share what you find with your child. Once you've accumulated information about getting help, pass it along. Having the information available will give your child the option to get help when he or she needs it or feels ready. · Be patient if your child doesn’t seek help right away. It may take a while for your child to seek professional help. 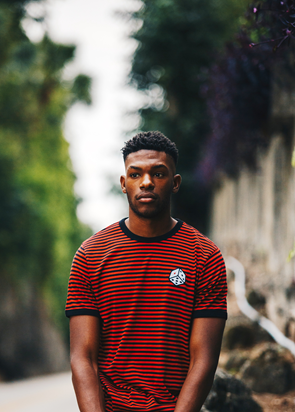 It’s important especially for young adults to feel that getting treatment is their own decision. 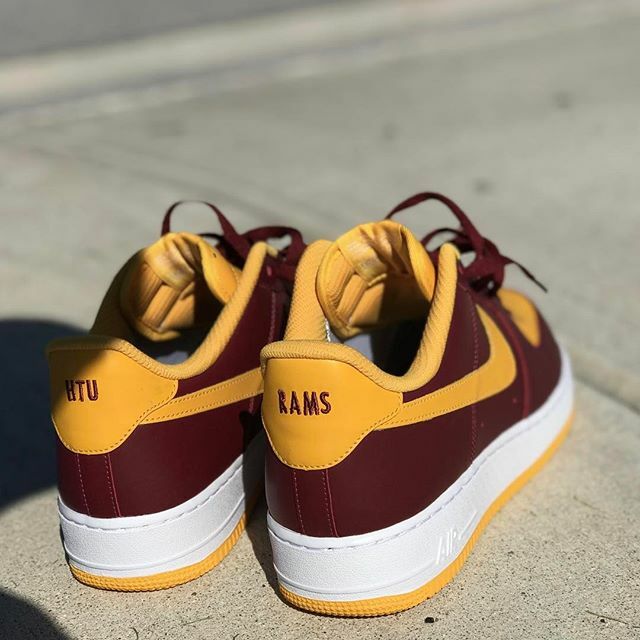 AUSTIN, TX (9.7.17) – Following a gift of $800,000, Huston-Tillotson University will become the only institution of higher learning in Central Texas, the fourth HBCU in the country, and the 196th college/university in the world to earn the coveted title of an All-Steinway School. The anonymous gift was recently contributed to the University to help complete its year-long fundraising campaign to purchase fifteen Steinway Pianos. 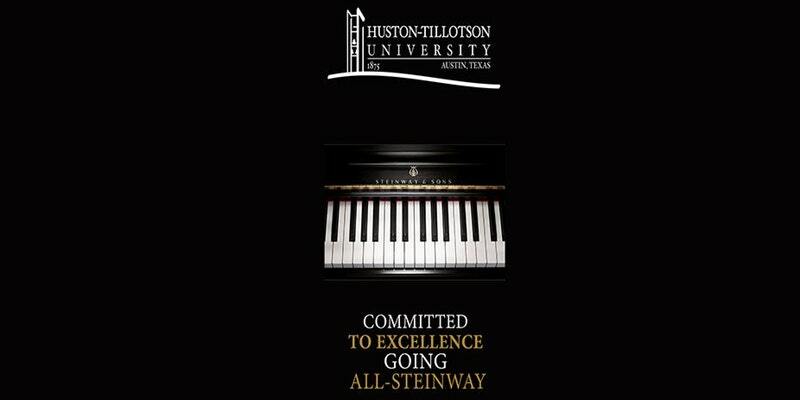 Huston-Tillotson University officials anticipate that almost all of the 15 Steinway Pianos will be delivered and installed on campus by Charter Day, which is the University’s 142nd anniversary celebration, on Friday, October 27, 2017. The University plans to hold a concert to celebrate the installation of the Steinway Pianos on October 28. More details will be announced in the coming weeks. Reserve your concert seat now. ﻿Being a part of the Ram Family has brought many opportunities for D'Janae and I. 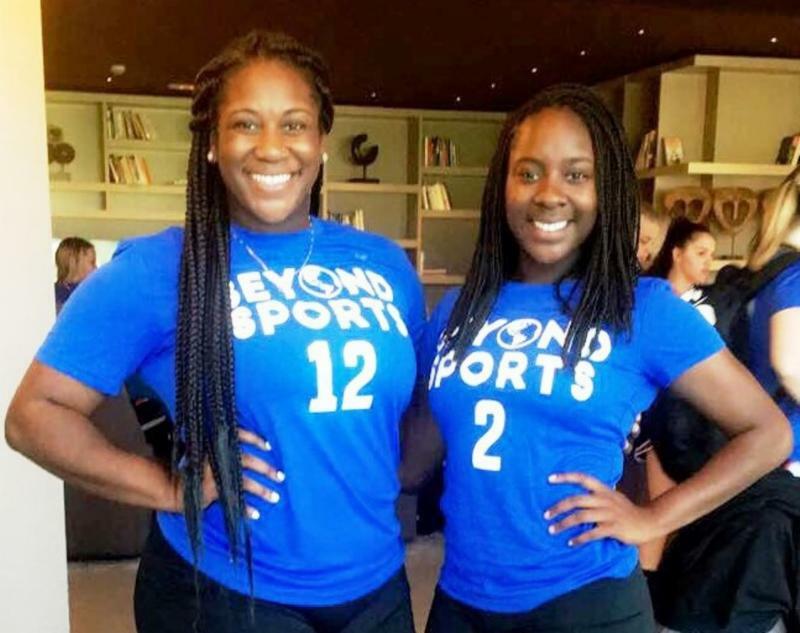 Our most recent opportunity (June 2017) sent us to Spain with Beyond Sports . This nine day tour led us through Valencia, Barcelona, and Madrid; where we competed against the top ranking club volleyball teams for each city. It was a great experience playing abroad and representing not only the HT Volleyball program but the Ram Family. If we have the opportunity to take HT global again we will! Interested in being a part of a Parent Advisory Counsel? Email studentaffairs@htu.edu for more details. Office of Residence Life welcomed our new and transfer students on August 16th and our returning students on August 18th. With our “Superheroes” Theme we want to encourage our residents that they can do it all with a little determination, great work ethic and of course a healthy and enjoyable living environment. We have held programs that covered topics such as inner beauty, healthy lifestyles, domestic violence awareness, game nights, movie screenings and study jams/groups. Now that we are midway through the semester, we are preparing for the upcoming holiday season, Spring and Summer registrations, and of course more great programming. We are excited for our young men to participate in No Shave November raising awareness on Prostate Cancer. Our Young ladies will focus on preparing care packages for women that are less fortunate. •Spring 2018 Registration begins Monday, October 30th. •Thanksgiving Break is Wednesday, November 22nd thru Friday, November 24th. The campus will not be open but residence halls will, anyone that will be returning to campus prior to Sunday, November 26th we ask that they sign up . •The Residence Halls will close officially on Friday, December 8th at Noon. All Residents must properly check out--to be discussed at the final hall meeting). Charter Day is the celebration of the establishments of Tillotson College (1875) and Samuel Huston College (1876). 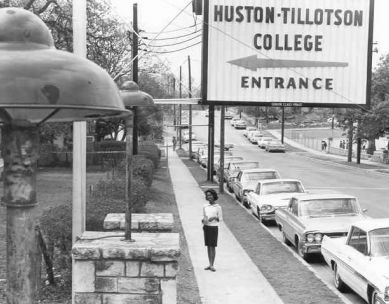 The two colleges officially merged in 1952 with the Board of Trustees signing a Charter of Incorporation by the State of Texas establishing Huston-Tillotson College (now known as Huston-Tillotson University). The 1952 merger created one of the largest black Protestant church-related colleges in the country at that time. HT, a historically black institution, has the proud distinction of being Austin’s first institution of higher learning and celebrates its 142-year anniversary on Oct. 27th. What Happens on Charter Day? On Charter Day, the campus will be filled with excitement from alumni, visitors, and dignitaries who will travel to Austin for the campus convocation. Faculty, staff, and students assemble in King-Seabrook Chapel for the 1-hour and 45-minute program. Campus offices, library, dining hall, mail room, etc. are closed. Students are expected to attend the convocation that offers the opportunity to hear from and meet distinguished speakers and alumni. In addition, top ranking students, the concert choir, and the University Ambassadors are in the spotlight. A reception will be held immediately following the Charter Day Convocation. Campus visitors enjoy the catfish feast in the dining hall, as well as the opportunity to visit with students. All student honorees will receive a letter from the Provost and Vice President for Student Affairs with specific instructions for the day. An official letter will be mailed and emailed to you. Proceed to the chapel before 9:45 a.m. to be seated on the left side section near the piano and in the middle, behind the faculty. You will be seated with your graduating class. 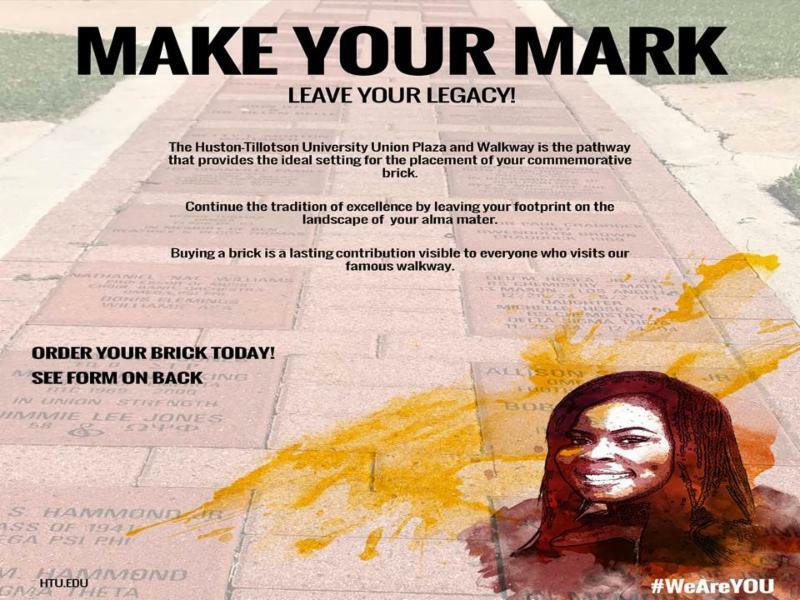 You will want to take advantage of this opportunity to network and share your HT pride as the University celebrates its heritage. For the latest Charter Day celebration information, visit htu.edu . How to survive the holidays with your new college student. The first semester of college brings out lots of changes in your student. Though they are not yet full adults, they are now young adults. Whether they are living at home, or living in the dorms, this new experience, has probably brought about a new found independence for them. As their parent/guardian, it can be tempting to fall into old patterns of their pre-college days. Here are some tips that can help you get through the holidays. * Give them space. They’re growing and learning how to be independent. Let them fly! * Let them catch up with friends. They’ve been away experiencing new adventures. They want to share with the peers they once connected with. * Have family time. There’s nothing like quality time. Although it may not be 24/7, make sure you and your student set some time aside to visit get the chance to catch up. On July 24, 2017 The NAACP of Huston-Tillotson University Unit#69AA traveled to Baltimore, MD to attend the 108th Annual Convention. 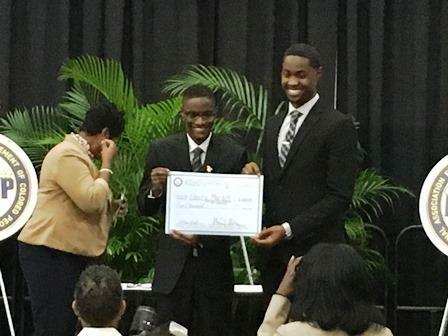 While in attendance, they participated in the 2nd Annual Youth & College Idea Lab. 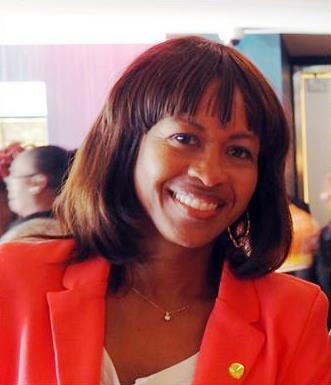 This year, the theme for the Idea Lab was "Owning Black and Buying Black". Each team was challenged to create a start up addressing their community's consumer needs. 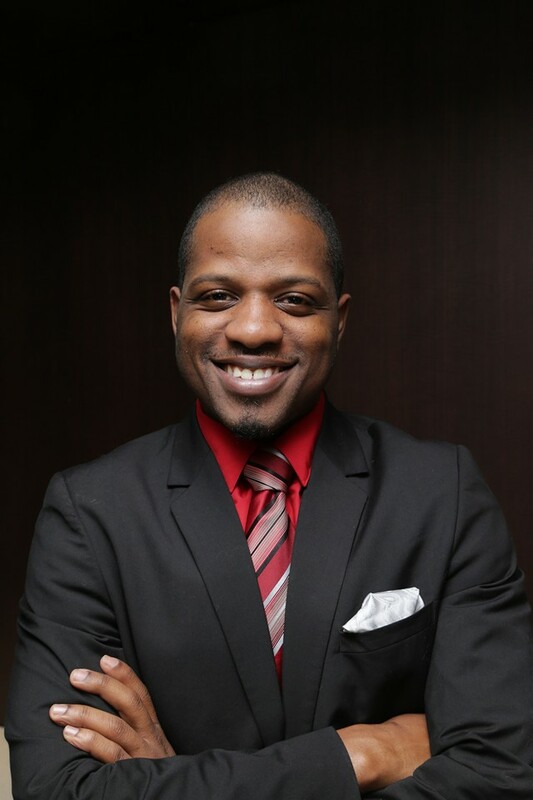 In response to the lack of technological access, the increase of gentrification in East Austin, and lack of available funding for small minority owned businesses, Derrick Lewis (President) and Jonathan Kee (Vice President) presented Unity Market: The Virtual Black Wall Street. 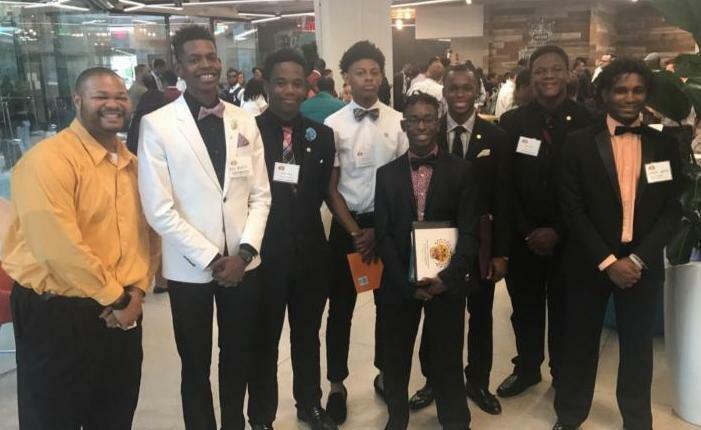 The HT Chapter competed against many other extraordinary chapters, including Scotland County NAACP Youth Council, Baylor University Unit #6895 and Garland, Texas NAACP Youth Council. In the end, Unit #69AA was awarded 2nd place and $2000 their business start up! 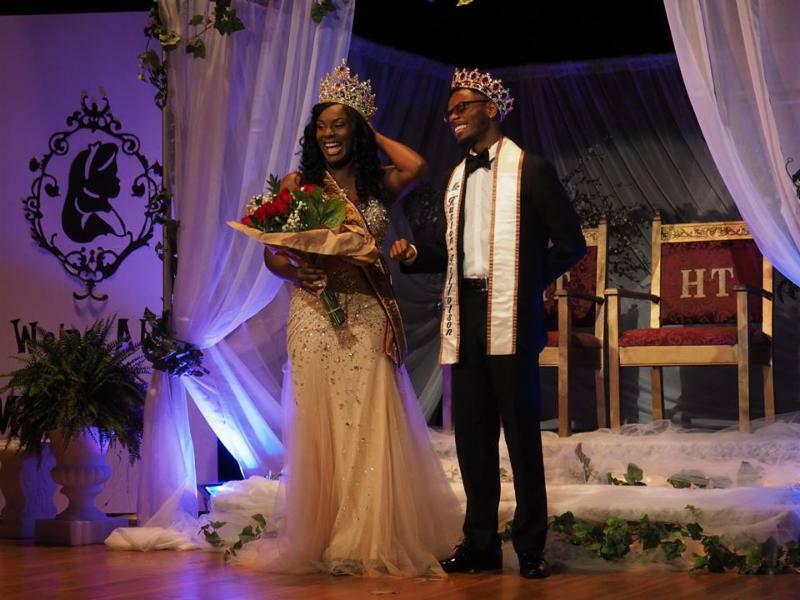 Keylai’ Boughton, who humbly and gracefully serves as the 65 th Miss Huston-Tillotson University, represented the institution at the 32 nd Annual Competition of Black College Queens in Atlanta, Georgia September 26 – October 1. 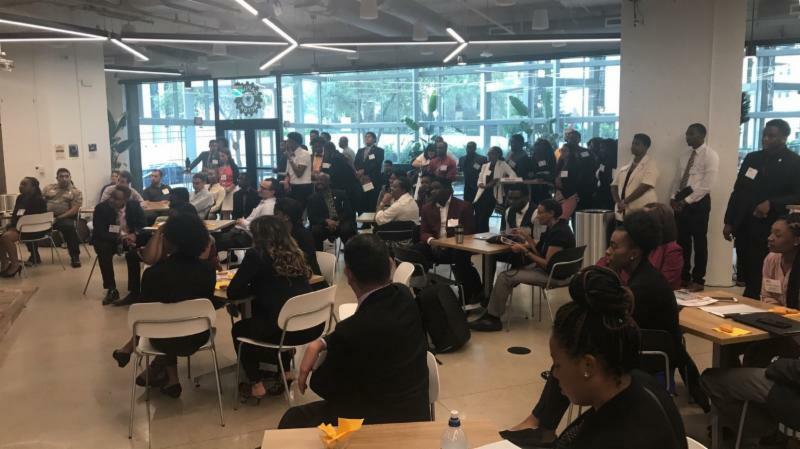 This competition is hosted by The National Black College Alumni Hall of Fame Foundation, Inc., as the culminating event of the NBCA Hall of Fame Weekend. 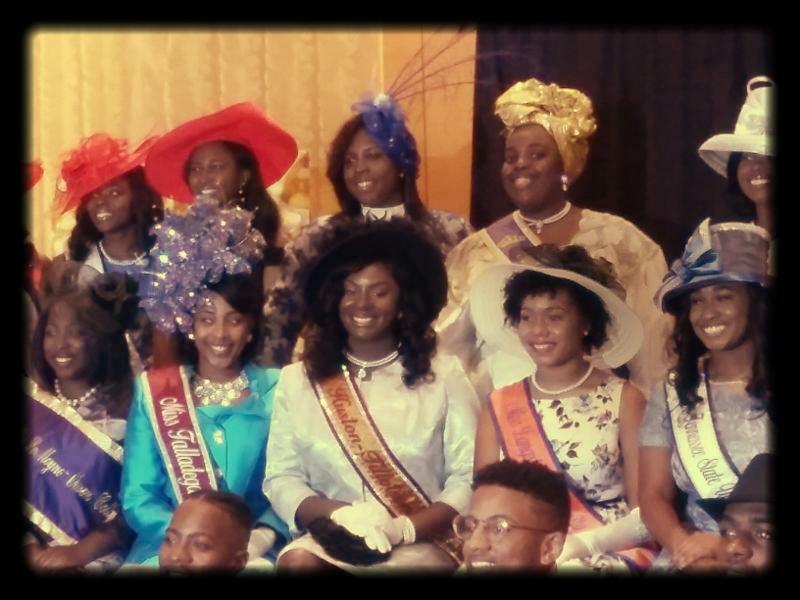 Over the course of the week, her intellect, aspiration of becoming a criminal defense or prosecuting attorney, grace, poise, and smile resounded throughout her performances in oratory, talent, presentation/image, and poise/projection, and her participation in the Queen’s Tea (captured above, center), Positive Image presentation at an inner city Atlanta High School, student leadership seminar, and NBCA Hall of Fame Inductee Ceremony. 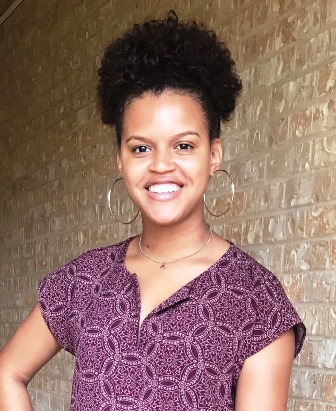 Ms. Boughton, a 2018 graduating senior, majoring in Criminal Justice, hails from Vallejo, California. She is a W.E.B. 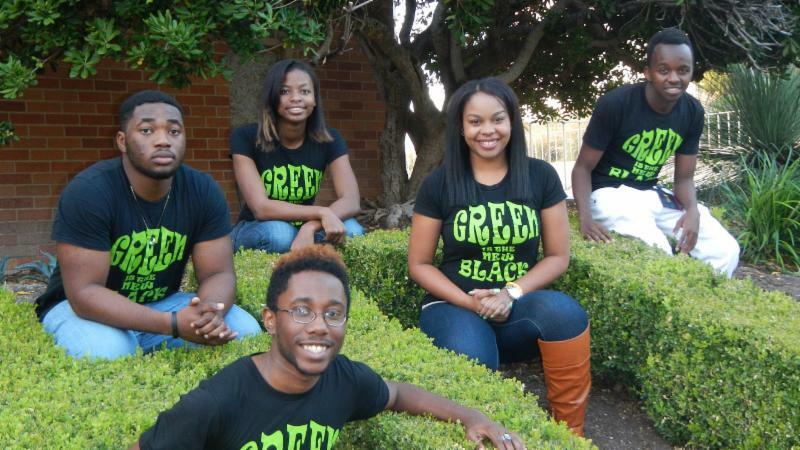 Dubois Scholar, and members of the Golden Key International Honor Society and Alpha Kappa Alpha Sorority, Inc. In the Office of the Provost we oversee the academic affairs of the university. It is our responsibility to ensure your scholar son or daughter receives a quality academic experience. We strive to create excellence in all of our degree programs. We have our academic support programs housed under the Center for Academic Excellence (CAE). CAE provides Math Support in our Math Lab. The Math Lab is staffed by a very capable instructor and supported by our Peer Learning Coaches. The Math Lab is available to students at all levels. We also have a Writing Studio. The Writing Studio provides our students with the opportunity to receive assistance in writing papers. They learn how to do research for papers, how to write using formal academic writing styles as well as providing support in other important facets related to effective writing. Parents I also want you to know Midterm grades are posted. We encourage you to ask your scholar son or daughter how well they are doing academically midway through this Fall semester. If I can answer any academic related questions please contact me. 1. Your student calls home a lot. Remember that “a lot” is a relative term. Some students may just want to check in each day and others may not even need to touch bases weekly. If your student calls home much more frequently than you both have planned, listen carefully to the reasons for the call. 2. Your student wants to come home a lot. If your student wants to come home every weekend, she is not participating fully in the life of the college. Investigate why your student wants/needs to come home often. 3. Your student is not completing things. Ask how assignments are going. Ask about progress on that paper or project. It is always possible that your student will tell you what you want to hear whether or not it is true, but try to find out whether normal work is getting done. 4. Your student has an excessive need for extra money. Students always need more money, but if your student is constantly asking for more, ask where it is going. 5. You sense that there are problems, but your student is not sharing them and is not seeking help. Try to determine whether there are real and persistent problems and ask about them. Suggest that your student get academic help, help from residence assistants, or counseling. 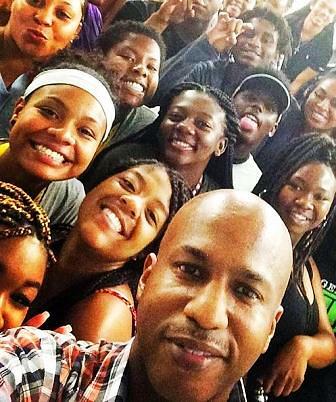 The fall semester started with full force, and the students are 100% in Game On mode! We are half way through the first quarter, and we want to encourage you to help your students to stay in the game for a solid finish. 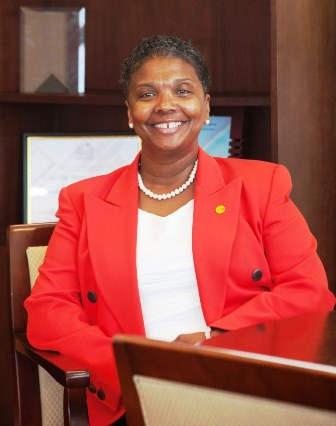 While Academic Affairs focuses on the students' abilities in the classroom, the primary goal of the Department of Student Affairs is to focus on our students developing life skills outside of the classroom. While the classrooms set our students up for academic rigor and success, our role is to build students up for great leadership. Please encourage your students to seek out the numerous activities for them to get involved with around campus. Research shows that student involvement in campus activities helps connect them to the university, and allows for a better collegiate experience. Encourage them to keep up with Career/Graduate Fairs. Have them seek out internship opportunities. Suggest they attend events offered by the University. Make sure student is focused on a strong finish. Ask for midterm grades! They are available. Recommend that they use the support services, which are crucial in helping to get needs met. These 6 suggestions--though few of many--can help offer growth and stretch your students outside of the classroom. If you have any questions, comments or concerns, please contact the Office of the Dean of Student Affairs at studentaffairs@htu.edu . Coronation is the official investiture ceremony of Mr. & Miss HT. See university website for additional event details . The Career and Graduate Development Center provides your student with career development assistance throughout their journey here at HT. We deliver this assistance by providing career, advising, assessment tools and resources. 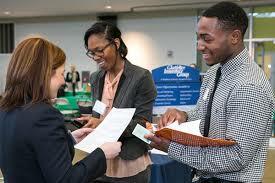 We serve as a liaison between students and employers that seek to fulfill all their employment needs . Our overall goal is to guide HT students and alumni through their career transition experiences. 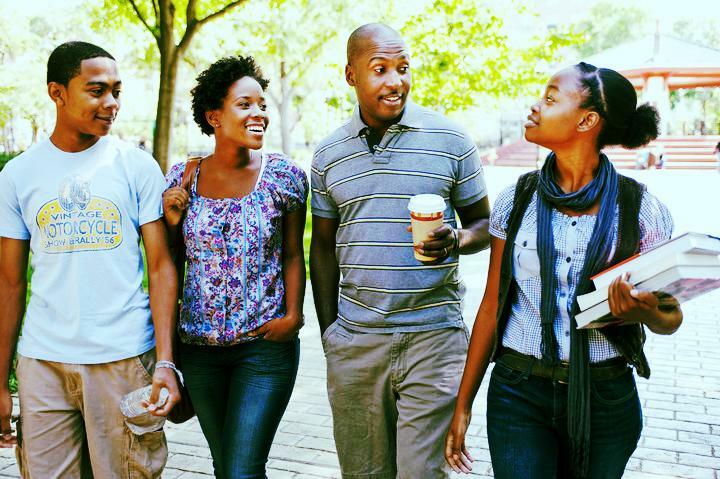 As parents of a college student, one major concern for your loved one is their safety. All parents want their students to perform well academically. 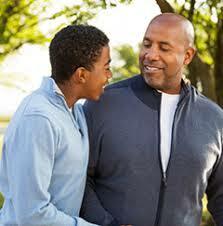 Additionally, they want for their young adults to be healthy and happy. Successfully achieving each of these can be a challenge if their safety is in jeopardy. To this end here are a few tips to discuss with your child for remaining safe while having a good time. 2. Don’t accept substances from people you don’t know. 4. Know how to report a crime. Know the numbers to call on campus. 8. Don’t accept rides from casual acquaintances or strangers. Thank you for choosing to be a part of the HT RAM Family. Be on the look out for the next Parent Newsletter, to be released at the end of this semester (December 2017).